Cultivating the future of preservation. Support cutting edge preservation with your tax deductible donation. Friends Group announces Summit sponsorship by the Western Chapter of the Association for Preservation Technology and Leica Corporation. 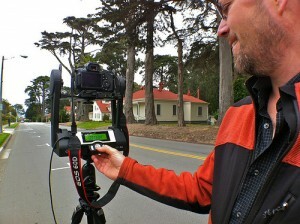 The NPS 3D Digital Documentation summit is fast approaching. The conference runs July 10-12, 2012 at the Presidio of San Francisco. Thanks to the generosity of the Western Chapter of the Association for Preservation Technology and Leica Corporation, participants will have the opportunity to meet and greet each other on Monday night, July 9. The event will be held at the Transit Center Café, 215 Lincoln Blvd, San Francisco and will last from 6:00 Pm to 7:30 PM. We look forward to seeing you at the Summit! For more information and program highlights, see http://ncptt.nps.gov/3d-digital-documentation-summit/. Posted on June 14, 2012 Author Mary StriegelCategories News, TrainingLeave a comment on Friends Group announces Summit sponsorship by the Western Chapter of the Association for Preservation Technology and Leica Corporation. 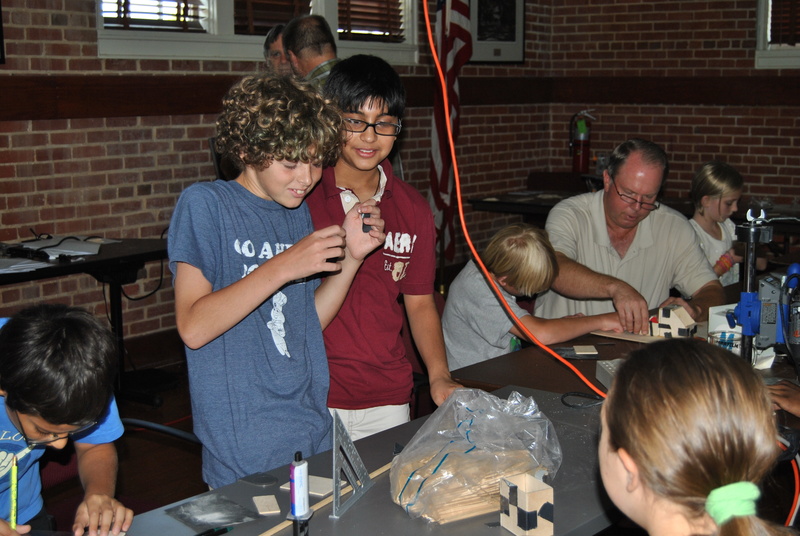 Students from Natchitoches Parish Schools are constructing their robots at NCPTT's 2011 Camp. The Friends of NCPTT know that tomorrow’s engineers are studying in middle school and high school today. That’s why they are sponsoring NCPTT’s 2012 Robot’s camp to be held July 23-27, at Lee H. Nelson Hall. The camp gives students skills, experience and opportunities to succeed as they build, program, and learn to navigate robots. The five day camp will be led by Curtis Desselles, who will guide students through the assembly of robots and programming using the picaxe language. The program is open to 15 students from local area schools. Registration is $50.00 (student scholarships are available). Other sponsors include Weyerhauser Corporation and the Natchitoches Chamber of Commerce. 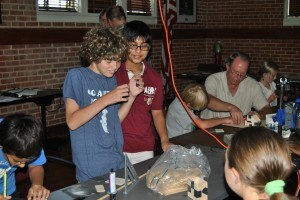 For more information, see http://ncptt.nps.gov/2012-robotics-camp/. In front of historic houses on Funston Avenue at the Presidio of San Francisco, Michael Ashley demonstrates how the GigaPan robot works. 2011 Center for Digital Archaeology, Berkeley CA, flickr, accessed 05/08/2012. The Friends of the National Center for Preservation Technology and Training (NCPTT) are proud to be a co-sponsor of the National Park Service’s Digital Documentation Summit, to be held at the Presidio of San Francisco from July 10-12, 2012. Experts from across the nation will share their practical experiences using the latest in computer technology to document cultural heritage. From best practices to the most advanced case studies, participants will have an opportunity to learn techniques like laser scanning or LiDAR, reflectance transformation imaging, and the digital photogrammetry. NCPTT, the NPS Intermountain Regional Office, and the Presidio are organizing the three day event to include more than 26 papers, poster sessions, panel discussions and live demonstrations. The Summit will address issues such as data acquisition techniques, data storage and a range of data uses. The Western Chapter of Association for Preservation Technology (WCAPT) will host an opening reception on the evening before the Summit. Additionally they will host a panel discussion on digital documentation of the Presidio of San Francisco led by Michael Ashley from the Center for Digital Archaeology, Berkeley, California. For more information and program highlights, see http://ncptt.nps.gov/3d-digital-documentation-summit/.